My husband and I had the best trip we have ever taken together at Memoires de Provence. We cannot rave enough about every aspect of this trip. Each morning over a cup of coffee and delicious fresh pastries as well as fruits and other breakfast choices, we planned our biking with our host Neil. He matched us perfectly to a wonderful ride that included beautiful stops for lunch as wells as some touring of the lovely villages of Provence. Several great and unique features of this biking experience were: tailored biking trips; GPS directions that were easy to follow and if mistakes were made, easy to correct; gorgeous scenery from back roads and bike paths, not highways; comfortable bikes and equipment; and a wonderful welcoming home to return to each night. We rode 5 straight days and each day was	a pleasure. Additionally, Neil and Natalene and their kids were consummate hosts. Dinner was served 3 of the 6 nights we stayed with them and Neil kindly shared his recipes. It was such fun to sit with the other guests and exchange stories and experiences. There are 4 bedrooms (2 with private baths) so at most, 8 people are at the house at one time. It is just the right amount. My husband and I struck out on our own each day, but if a group came together, they could ride as a larger group or break into ability groups. The biking varied depending on your expertise and ability and Neil was so knowledgeable about the routes that we were always comfortable riding. There seemed to be endless choices of rides that looped through the countryside. Room Tip: 4 rooms, 2 share a roomy bathroom across the hall 2 bedrooms have their own spacious bathrooms. It is in a quiet neighborhood. Jean - US - Sept 15. This is the easy way to stay in one location and go on all these amazing rides through beautiful lavender fields and rolling hills of grape vines and fabulous Centuries old homesteads. Our accomodation was excellent and the shared meals a joy under the vine on the verandah. Even if you have not been on a bike for a long time you are looked after so well by the hosts Neil & Nat. I did unfortunately have a crash and they drove 20 ks to pick me up and got me the medical attention I needed. I might have a black eye but it was one of the best cycling holidays we have been on. Denise - Australia - Sept 15. My Wife's First Cycling Trip! After some minor persuasion my wife (Sabs) and I decided to go on a cycling tour in France. We thought Provence looked ideal as we could relax for a few days after on the French riviera. As Sabs had not really done a huge amount of cycling I was slightly nervous about the trip. From the moment we got to Neil and Nat's Memoires de Provence I knew that my worries were over. They were so welcoming, made sure our bikes all went back together properly. Even giving me a seat post collar as mine had fallen off when packing. Our room was perfect. Great space and wonderful bathroom. We woke up to croissants and pastries every morning and as much french baguette as you could eat. The cycle tours Neil suggested for us were perfect. Always just enough for a days riding with excellent lunch stops suggested on the way. The GPS units worked without fault and we never got lost. It was just like having a guide with you. I could hardly separate Sabs and her bike at the end of the week, although she did decline cycling up mount Ventoux with me. Neil did a fantastic job as chef on the nights they cooked and the communal dining on the terrace was great for swapping stories of the days cycling. On the nights we ate out Neil's recommendations for restaurants were spot on. All in all a fantastic and successful first bike trip. Oli & Sabina - UK - Aug 15. We stayed at Neil and Nat's place with my daughter and boyfriend and availed ourselves of the biking side of the business, Provence Cycling Holidays(my wife Deb and I also stayed here and biked five years ago). This time was as great as last time! Neil has got the formula: provide well set-up bikes, helmets, panniers, etc; a large number of potential biking routes, all loops from his house, varying in length and degree of difficulty; terrific guidance from the GPS's that Neil provides, daily route overviews from Neil, terrific dinners provided by Neil and Nat every other night, breakfast every day. And from a self-guided biking tour perspective, you only have to unpack/pack once! The routes are almost 100% on back roads, farm lanes, and bike paths. And when you return "cooked" in the afternoon from your ride, you can cool off in their pool. We've been on 7 self-guided biking trips, and this is our favorite. John - US - July 15. 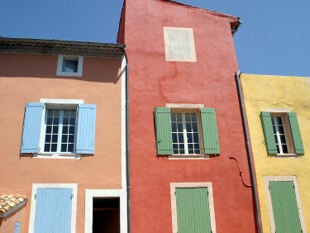 Memoires de Provence is the way to see Provence! We loved our stay at Neil and Nat's bicycle b&b. The bikes were first rate hybrids and Neil has assembled an outstanding list of rides that make extensive use of little traveled roads. Neil too is fantastic at customizing rides that take your preferences into account and his GPS system is an essentially fail proof way to complete each of the circuits without fear of getting lost. Everything else is also excellent. The breakfasts are first rate and the happy hours and dinners ranged from good to excellent. The rooms are spacious too and the swimming pool very much welcome in warm weather. On top of all this--Neil, Nat,and their children are very welcoming hosts who allow you to feel a part of their home during your stay. Highly recommended! Kellie - US - July 15. We traveled to the Inn with friends but met other couples and those who were going solo. Always great to meet new people from different countries. Neil and Nat were wonderful hosts. We enjoyed every bit of our stay. The bikes were great as were the countless options we had for our daily tours. We very much appreciated a week of flexibility. As suggested we had a rental car. One of our days, we chose to drive to Arles and Pont Du Gard. Great decision. We wish we had more time there and are considering a return visit to explore the options we missed the first time. Our timing was such that we saw lavender in full bloom, sunflowers bloomed more each day as we rode. So many amazing sights, sounds and smells. Fresh fruits and vegetables everywhere. Vineyards and orchards around each corner. This is the way to see Provence. Too many photos to share, so I just picked a few. I suggest you see it for yourself, take your own pictures. Julie - US - June 15. We have been recommending Provence Cycling to our friends and hope to go back and explore some more rides ourselves - four nights just wasn't long enough! Clare - UK - June 15. - Inn/Room: Lovely place - clean, quiet, comfortable, well located. Very comfy bed, nice grounds & pool. - Bikes: Pretty decent hybrids, kept in very good repair. More than adequate for the kind of riding you are doing on this trip (it's not the tour de France after all). Also, you can bring your own pedals & saddle & Neil will put them on for you. -Sights/scenery: The scenery in the area is breathtaking - many of the roads Neil sends you on are these tiny back roads with nary a car in sight...really wonderful & beautiful & relaxing. And the smells...it may sound weird but the scents here are so great...lavender, honeysuckle, fruit...it's almost intoxicating. - Food: Breakfast each morning was lovely & just what you would want before heading out for a day of cycling...nothing too heavy, but lots of choices of bread & pastries (with of course lots of spreads for them), fresh fruit, yogurt, cereal, etc. Dinners were really a pleasant surprise - absolutely wonderful! I am a picky eater & have to admit I was a little nervous about not having a choice, but i have to say everything was delicious! Some dishes included a duck confit salad (yum!! ), veggie quiche (awesome) and chicken kebabs (couldn't stop eating them). Neil also provided very good dinner reco's for the "off nights" and for lunch (included in the information cards for each ride). - Hosts: Neil & Natalene are really wonderful people & they make you feel incredibly welcome (their kids are also adorable & incredibly self-possessed & friendly!). They have created something very special and unique. We loved sitting around after dinner chatting with them and were really sad when we had to leave! - Misc: little things like having laundry done daily, free wifi (which worked well) & a fridge with snacks & drinks on the honor system were really nice touches. Having to bring only 2 sets of bike clothes for the whole trip really helped with packing light. If you like the idea of a bike trip but not living out of your suitcase & having to change locations every night, this is the trip for you. Room Tip: 2 rooms available with private bathrooms. Other 2 rooms share a bathroom and that was no problem for us as we shared it with our children. My husband and I just returned from our second visit to Memoires de Province. Our second visit was even better than we had remembered. Neil and Natalene go way beyond what one expects in terms of hospitality to make their guests feel right at home. Neil has spent a lot of time to create wonderful bike routes. He is always rechecking the various routes to make any changes that might make the rides better. Each ride is guided with a GPS and an instruction card telling you about points of historical interest, sights to see, markets to check out and places to stop for coffee and lunch. Neil even lets you know which restaurants offer the best value for money. Breakfast of fresh fruits, juices, yogurts, coffee, tea and fresh breads and pastries from the local bakery is provided each morning. Neil and Natalene make dinner every second night. Dinners are delicious, I come home with new recipes, some of which have become family favourites. On the nights that dinner is not provided Neil and Natalene directed us to great restaurants based on the type of meals we wished to have. Our room was lovely with a private en suite bath. As a bonus, you can leave laundry to be done while you are out enjoying the day. Gerry - Canada - June 15. This was our second trip to Neil and Nat's lovely farm house for a cycling holiday. As we found during our first visit, the location is ideal, the acccomodations superior, the surrounding countryside and villages are beautiful, the meals delicious and best of all the hosts treat you like members of their family. Neil's encyclopedic knowledge of the Luberon region and the ingeniious use of Garmin devices allow cyclists of all ability levels to enjoy the beautiful French countryside and villages at their own pace. Every morning over a sumptous breakfast of fruit, croissants, yougurt and coffee, we planned our cycling routes with Neil ,complete with recommedtaions regarding historic sights, market times and restaurants. We enjoyed gourmet meals and stimulating conversation with our hosts and other guests at night. The accomodations are spacious, clean and comfortable. 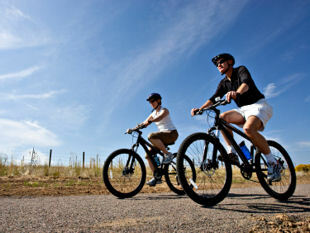 The bikes are comfortable and professionally maintained. There are incredible Roman ruins, a famous acqueduct and fascinating museums all within a one hour auto trip. Neil, his wife Nat and their children are delightful and through them we also get an "insider's view" into Provencal life. We highly recommend Provence Cycling Holidays ( Memoires de Provence) to family, friends, and anyone who wants a memorable holiday in Provence. Mike and Laurel - US - May 15. 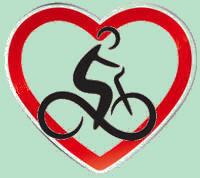 Provence Cycling Holiday - entirely charming! Our five days stay with Provence Cycling Holidays (aka Memoires de Provence) was exceptional in all regards. Owner Neil Cowell provided very nice bikes and a careful orientation to the use of the GPS devices that guide you along routes. Neil gave personalized advice in selecting routes that were just perfect for us; we went along incredibly quiet county lanes and bike routes to the picture-perfect hilltop towns of the Luberon. The B&B is a well restored, charming stone house where Neil, Natalie(his wife) and two children made us feel completely at home. Meganne - US - May 15. Great holiday - thoroughly recommend! Thanks to Neil and Nat for such a wonderful holiday - food, accommodation & bikes are all excellent. Neil has put thought into setting up an great biking holiday that copes with all abilities - rides can be adjusted to suit distance, weather, terrain etc. Bikes are comfortable and very suitable to the type of cycling which is mainly on quiet country roads taking you from one scenic village to another without the worry of traffic - the GPS system works perfectly. A trip up Mt Ventoux was also a highlight and a very good workout but by choice the other days for our group were much more relaxed. Breakfast was served outside on the terrace, the ride for the day decided on and off we went, stopping for sightseeing, coffee, local markets, lunch, wine etc. Returning at the end of the day it was usually a welcome drink on the terrace followed either by one of Neil's delicious meals or off to a restaurant in Coustellet or nearby village - all providing excellent food and service. Neil and Nat are great company, the house is in a lovely setting close to the bike track and it is a very enjoyable environment to spend 6 nights - definitely recommend! Thanks to Neil, Nat and family we will have wonderful 'Memoires de Provence' and would love to return at some point in the future. Joyce - NZ - May 15.